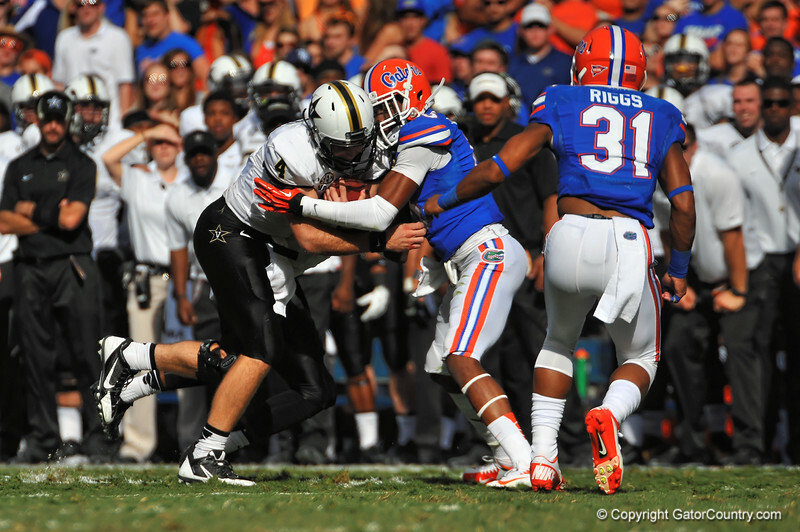 Vanderbilt Commodores QB Patton Robinette rushes around the left side and is tackled by Florida Gator DB Loucheiz Purifoy. Florida Gators vs Vanderbilt Commodores. Gainesville, FL. November 9, 2013.